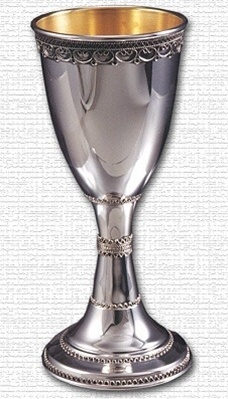 Elegantly crafted sterling silver kiddush cup with beautiful hand filigree gracing the top and base. This would make a simply beautiful gift for anyone. Approximately 6" tall.